Good news for RPG fans, Final Fantasy XV: Pocket Edition is now available to download on the Play Store. Now you can play through the adventures of Prince Noctis and his buddies on your smartphone screen, experiencing the story of the blockbuster AAA game from a different perspective. Square Enix are giants in the gaming world, and they haven't neglected the mobile market. In fact, their ports of the Final Fantasy back catalog on the Play Store are some of the best titles available to play on Android. On the other hand, its mobile strategy game based on Final Fantasy XV, FFXV: A New Empire, is a prime example of a frustrating, shallow, money grabbing mobile game trap. Given that, I was a little apprehensive when I heard about Final Fantasy XV: Pocket Edition. It seemed like there was no way a mobile device could handle the latest epic story from the beloved RPG franchise. But it's here, and it's looking just as good, if not better, than trailers promised. The condensed version of Final Fantasy XV's epic road trip meets fantasy quest meets fishing gameplay will be released in a mobile friendly episodic format, and the first part is available to download right now for free. While I haven't seen any dodgy ads or IAPs, players should be aware that completing the entire saga will cost $19.99. First chapter is free, the next two cost $0.99 and chapters 4 through 9 cost $3.99 each. Get the first chapter of Final Fantasy XV: Pocket Edition free on the Play Store. Although much scaled-down from the console/PC version, Final Fantasy XV: Pocket Edition is still a very demanding game. While not exactly wowing with realistic graphics, FF15: Pocket Editon does look pretty darn cute, with chibi-style versions of all the characters. The mobile game shares voice actors with its big brother, and all the character interactions keep the charm and humor of the original intact. There's also good news for owners of the Razer Phone. Final Fantasy XV: Pocket Edition is one of a growing list of games that support the Razer Phone's 120Hz display for a higher frame rate. Despite having to scale down for mobile, from first impressions it seems like Sqaure Enix have managed to keep a lot of what makes the original game so much fun intact. While it remains to be seen just how well Final Fantasy XV: Pocket Edition plays as we progress through the chapters, it's looking pretty good so far. 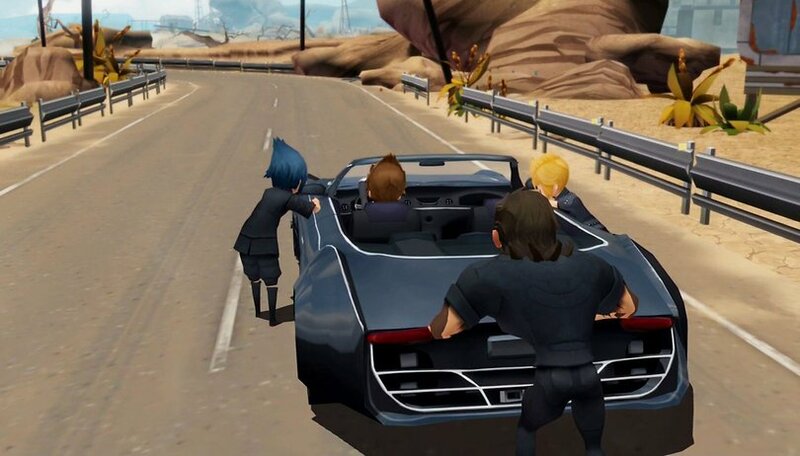 Have you tried Final Fantasy XV: Pocket Edition? What do you think of it?